Our underlying mission is to tip the scales of sport in your favor. Whether it’s adding 6 inches of height on a vertical jump or subtracting 0.5 seconds from an athlete’s 40-yard dash; if there is an advantage to be had, we’re the ones to find it. With our proprietary performance assessment process, data driven technology, and synchronized video to document progress, we’ve tested, studied and perfected our training programs so you gain the ability to improve your play and the confidence to win. Every individualized program is based on fundamental test data that identifies your strengths and targets your weaknesses. Our use of technology during your sessions for results measurement and live feedback for optimal effort levels gets you – maximum results from each session. Our proven methods safely push you past your limits – increasing the competitive skills required to be a champion. Colleague. Coach. Teacher. Consultant. Our team of experts aren’t just “personal trainers,” they are degreed, certified, and experienced Performance Coaches. They hold degrees, certifications as well as undergo a rigorous in-house training program where they become experts at helping people achieve their goals. The Performance Trainers hold degrees in biomechanics, exercise physiology, sports nutrition, and exercise science. They utilize their education in these fields and couple them with practically adapting the athlete’s training programs to meet each their goals by utilizing our proprietary protocols and training solutions. 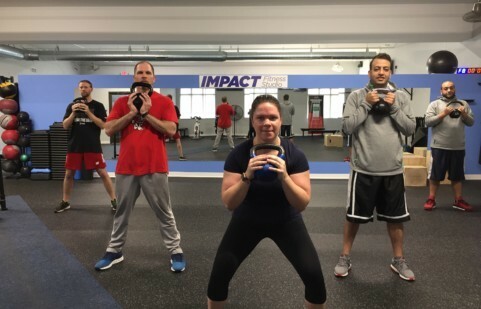 Most of our trainers have either played or coached at the highest levels of their sport, gained professional certifications (CSCS, ACSM, NASM) and have graduate degrees in exercise science, biomechanics and athletic training. We pride ourselves on having the most qualified staff in the performance sports training industry. RESULTS MEASUREMENT – Documenting your results every 6-8 weeks and in session real-time feedback through technology use. Many sport performance centers say they provide personal attention, but in reality the athlete is lost in the crowd of large group sessions. These group session often contain athletes of all different ability levels, employ cookie-cutter training methods or provide a glorified “Open Gym” where athletes follow their own program with occasional feedback from coaches wandering the gym floor. They may call it semi-private personal training, but it couldn’t be further from the truth. We believe in being hands-on – physically showing you proper technique, guiding your arms, legs and hands through the proper motions. We believe ensuring our athletes maximize their efforts and each movement to it’s fullest potential is the difference between average results and great results. 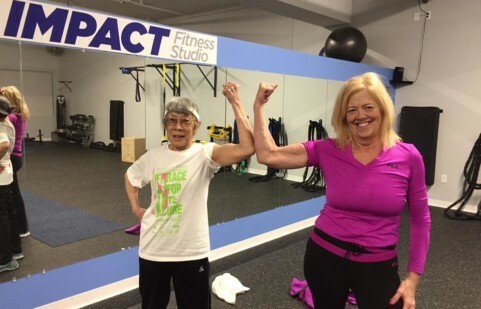 If you are new to exercise, you’ll appreciate the education, and if you are already accustom to fitness, you’ll gain a new appreciation in the proper movements and techniques – and you’ll feel the difference! This is why we limit our truly semi-private sessions to only four athletes and each athlete has their own customized program they follow, track progress, and progress through. Personal training is helpful for any person. But personal program design is critical to your success. Any trainer can take you through a generic strength training workout with lifts commonly done by athletes, but our Performance Trainers craft a comprehensive personal program that is based on your performance assessments, sport, and performance goals. Preplanning each session up to your seasons start and in-season program adjustments, we’ll craft a minute-by-minute workout for you that will keep you progressing towards your goals. By nature athletes are competitive and our experience shows that our semi-private groups of four athletes provide just the right balance of personal attention – with a motivating group environment. We’ve found when one athlete is hitting personal bests, than everyone is motivate to reach new heights. We also find that when you can pair like-minded and success oriented athletes together, then you get a recipe for strong bonds that extend beyond the four walls of Impact Fitness. Our athlete’s not only encourage each other during their sessions, but often reach out to their training teammate to follow their in-season success. It’s a culture and experience all athletes love and parents of the athlete appreciate. To produce results, we set a goal of attending three-four sessions per week in the off-season and two session in-season. Each personal training session changes through out the week to address specific performance goals and muscle groups. Additionally, your workouts will change each month and adjusted based on ongoing performance assessments and results measurement. This is key to keeping the body physiologically adapting to change helping you avoid the dreaded plateaus and keep you psychological motivated as well! Through the use of technology, we also help you plan and track your peformance regimen when you are in and out of your sessions. Exercise alone can only produce so many results. To help you reach your goals faster and more efficiently, included in your personal training program is our nutrition coaching. Featuring performance nutrition small group workshops and a review of supplements, we help you achieve maximum performance goals naturally and in a healthy way. Every 6-8 weeks, you’ll meet with your personal performance coach, one-on-one to review your goals and progress. Your program design and goals will be adjusted every month to keep you motivated, keep the body adapting to new stimulus, which results in continual progress. This element of accountability, measurement and refinement of our customized peformance program design is unique to the Impact Fitness philosophy.